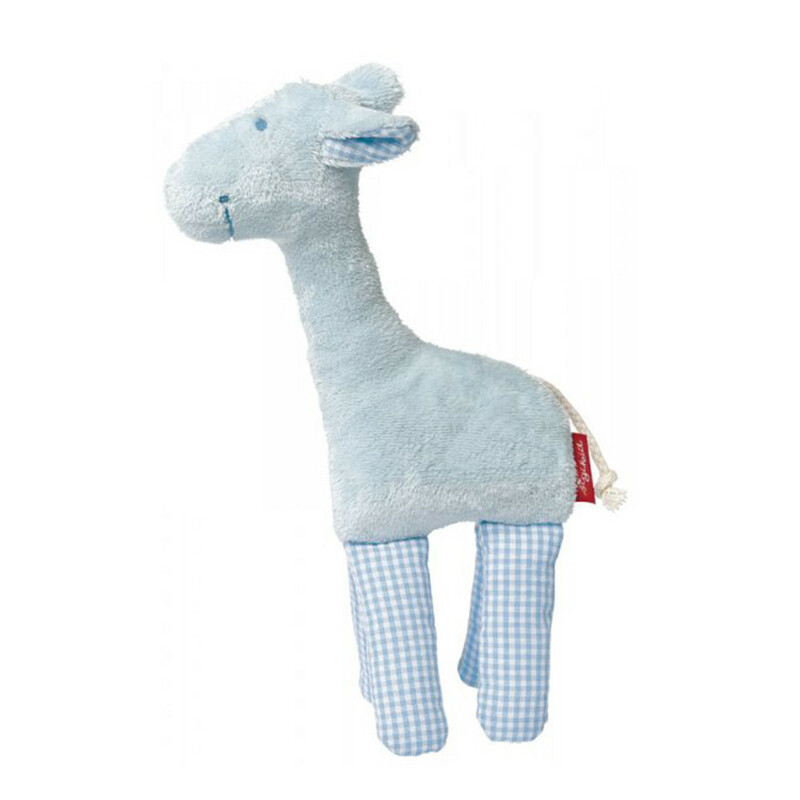 The giraffe grasp toy, made of organically cultivated cotton is the ideal gift for a newborn. It is perfect for early grasping and holding and a little rattle awakens baby's interest in playing. This new "sigikid first hugs" collection is as delicate as a newborn. In soft pastel tones and made of organically cultivated cotton, these cuddlers are the ideal gift for a newborn.